VICTORIA—Budget 2016 kicks the climate can down the road yet again, growing emissions, failing to invest in genuinely clean renewable energy, and failing to act in any meaningful way on climate adaptation and food security. 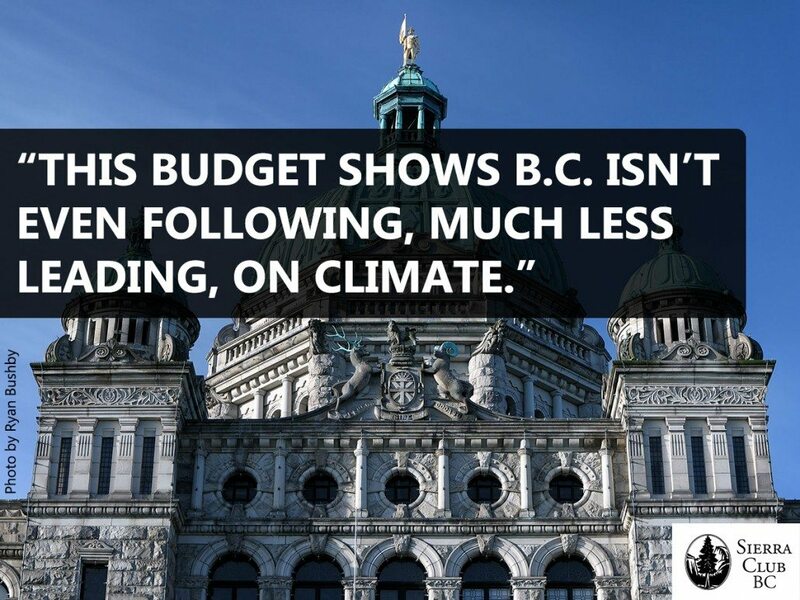 “This budget shows B.C. isn’t even following, much less leading, on climate,” said Sierra Club BC communications director Tim Pearson. “The vaunted Climate Leadership Plan doesn’t even rate a mention and remains a set of inadequate recommendations, with no guarantee they will be implemented. 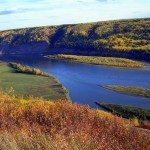 The government also receives a failing grade for its continued commitment to building the Site C megadam. The throne speech emphasized the importance of agriculture and food security as climate impacts such as drought increase. Yet Site C, an enormously expensive and unneeded boondoggle, would flood productive farmland capable of providing fruit and vegetables to one million British Columbians. “We have seen the tragic droughts affecting California’s farmlands, causing our produce prices to climb steadily higher. We need to protect our province’s food-producing lands. They are a strategic asset of the highest public interest for the province and the nation,” said Pearson. The closest this budget gets to acknowledging the impacts of climate change is in increased funding for wildfire mitigation and prevention, flood mitigation and emergency response and the health of the land base. These are welcome measures, but are drops in the bucket in comparison to the scope and scale of the challenges presented by increasing climate impacts. Meanwhile, old-growth forest, one of our best allies in the fight against climate change continues to be logged, and biodiversity, which enables natural systems to sustain us, receives inadequate protection. “This budget shows a government that, to the extent it acts on climate, seems content to offer a few measures to address the symptoms, while failing to attack the underlying causes,” said Pearson.